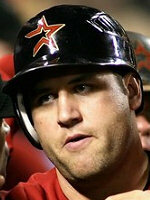 As discussed last week, the vaguely Jewish-sounding Lance Berkman is not Jewish. 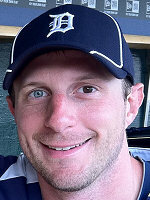 Further, his even more Jewish-sounding Houston Astro teammate Geoff Blum is also not Jewish. Blum and Berkman's not-even-close-to-Jewish-sounding teammate Brad Ausmus. Which is like finding out that Cracker Barrel makes a really good matzoh ball soup. 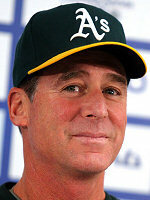 As a baseball player Ausmus is nothing special. He's barely scraping above a .250 batting average for his career with an OBP and SLG that are too obscene to be printed here. His backers praise him for his handling of pitchers and his defense, which is like saying your blind date has a "nice personality." 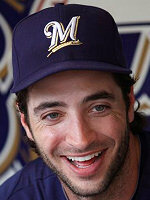 It's like he's the bizarro Ryan Braun. 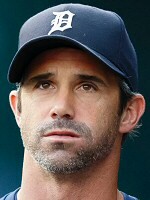 On the other hand though, as a Jew, Ausmus is not half bad. He might only be half by birth, but seems proud of his background, though he doesn't make a big deal of it. 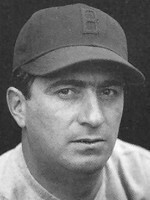 He was even inducted into the Jewish Athlete Hall of Fame (thus proving that the qualifications are "Jewish" and "athlete"). Just goes to show you, you can't judge a torah by its robe.